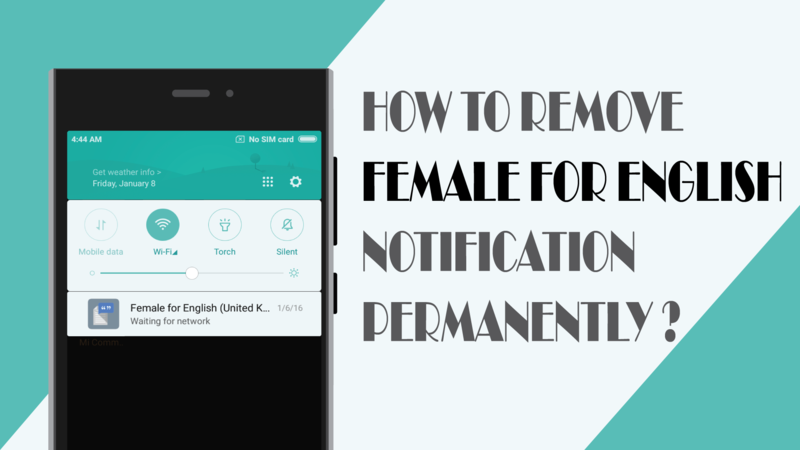 How to remove Female for English notification permanently? If you rely mostly on Mobile data on your device, you must have come across this infamous ‘Female for English‘ notification alongside ‘Waiting for WiFi‘. 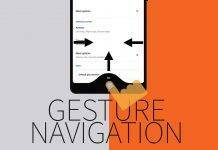 This notification is a part of Google Text-to-Speech feature, which allows OS to read anything written on the screen. Google push regular updates of its language packs to keep it working fine that requires an active WiFi connection to save you from data costs. If you are always on WiFi, then you might not come across this notification. 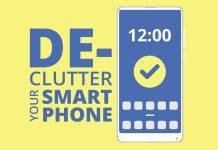 But for a Mobile Data users, this notification shows up as a reminder to connect to a WiFi network & download the language file on regular intervals. And that’s what makes it annoying. Since there isn’t much use of downloading the language file for Google TTS service, the user can get rid of this notification by disabling it permanently. Almost all Android devices with Google Play services have this option, but here I am using a Xiaomi device running MIUI 8. 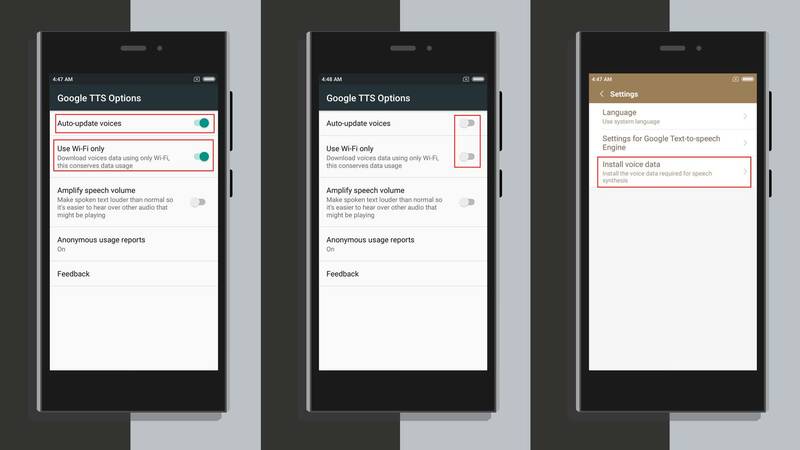 If you are using a phone other than Xiaomi, then look for ‘Language & Input‘ settings option to find ‘Google TTS service‘ & finally remove ‘Female for English‘ notification from your notification panel. Open “Settings“, then got ‘Additional Settings“, then choose ‘Language & Input‘ option. Inside ‘Language & Input‘ option, scroll down & open ‘Text-To-Speech Output‘. 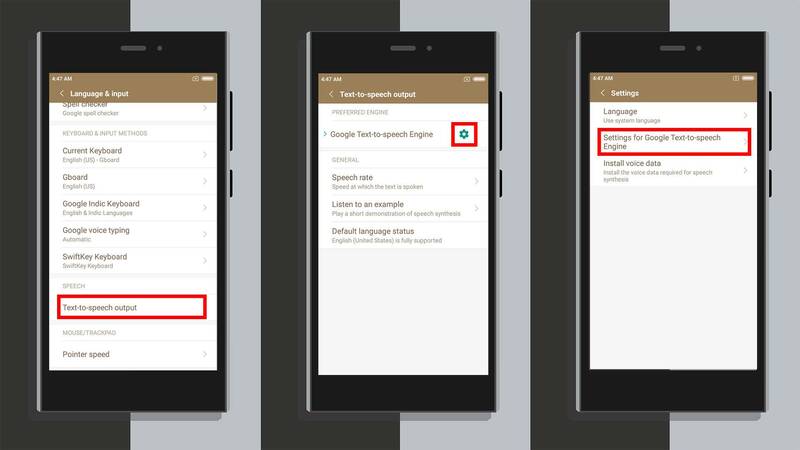 In next window, Tap on the “Gear Icon” alongside ‘Google Text-to-speech Engine‘, after that choose ‘Settings for Google Text-to-speech Engine‘. 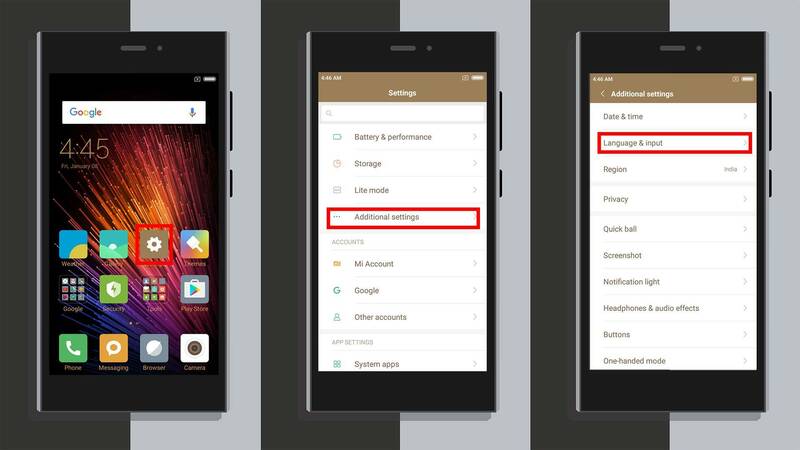 Now you will see two toggle options, ‘Auto-update voice‘ & ‘Use WiFi only‘, you need to turn off both options. After turning off both options, go back & tap on ‘Install voice data‘. In the next window, you’ll see a list of languages supported by Google TTS, choose the one that you are seeing in the notification panel. 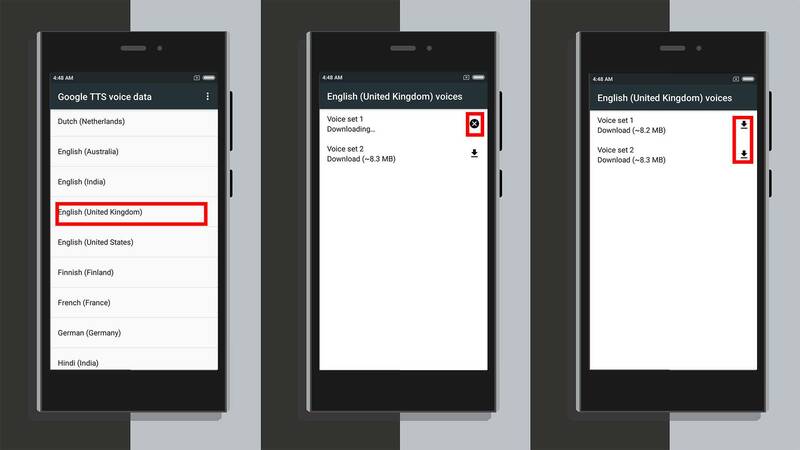 In next window, if you see Downloading.. ‘Voice Set‘, then tap on “X” button to cancel the download & get rid of its notification forever. Now you are free from this annoying ‘FEMALE FOR ENGLISH‘ notification permanently. This will possibly remove “Female for English’ notification forever. You might get this notification back after an update, so follow same steps again to remove it. 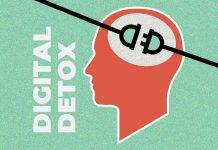 Hope this article solves the most annoying issue that is bothering most users out there. For anything else, do leave a comment in the comment box down below. Next articleHow to transfer files using Files Go over WiFi?